The Martin County Sheriff's Office has identified the body of a woman found Monday. Tyler Hadley was back in a St. Lucie County courtroom Tuesday morning for Day Two of his resentencing hearing. 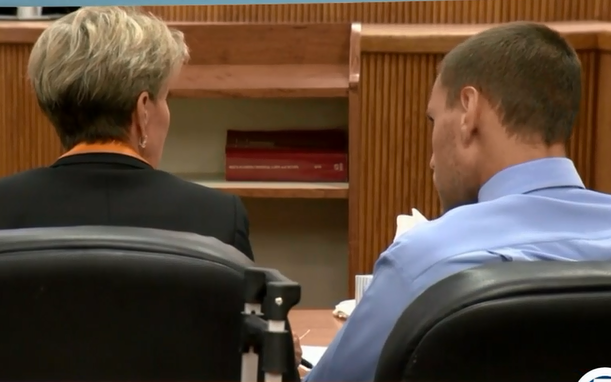 Tyler Hadley was back in a St. Lucie County courtroom Tuesday morning for Day Two of his resentencing hearing. Hadley killed his parents with a hammer seven years ago. Police said Tyler Hadley threw a party at their Port St. Lucie home after the deadly 2011 attack. Hadley pleaded no contest to murder charges in 2014 to avoid a trial. He had his double life sentence overturned by the courts in 2016 because of changes to Florida's juvenile sentencing laws. Now, Hadley's attorney is asking a new judge to reduce his life sentences to the state minimum of 40 years. The prosecutor in the case is looking to reimpose the life sentence. On Tuesday the murder weapon was displayed in court. A medical examiner testified about the brutal attack on Tyler's parents Blake and Mary Jo. Also taking the stand was Blake's brother Mike who is Tyler Hadley's uncle. He read a victim impact statement and said the murder "tore us apart." On Monday, Hadley's childhood friend Michael Mandell took the stand to describe how Hadley explained to him how he killed his parents. Mandell said Tyler hovered over his mother as she sat on her computer. Tuesday's hearing recessed just after noon. The state has rested its case and the defense will get its turn when court resumes at 9:30 a.m. Wednesday.